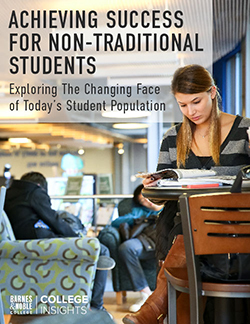 Ensuring that partner brands do bring the marketing ingredients to ignite their discerning and hard-to-influence students is a task that falls to Barnes & Noble College Marketing. 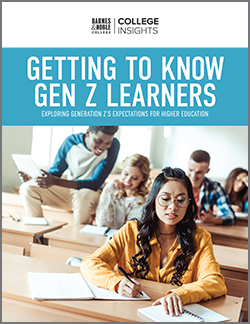 As a group of experts who know how to provide meaningful brand experiences, Barnes & Noble College Marketing acts as gatekeepers, brand advocates, and specialists on the subject of Millennials. “For the kinds of brands we introduce to our students, marketing has to be about a meaningful narrative,” explains Barnes & Noble College’s Marie Policastro, Manager, Partnership Marketing. “It’s about where we can provide the best value for our students and a return on investment, lead generation or sales for our partners,” she explains. That philosophy has yielded big successes for a carefully chosen roster of clients, from American Express to Hulu, from Cosmopolitan magazine to Samsung. 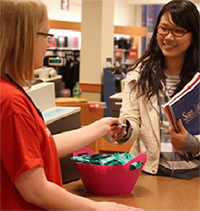 The partner brands benefit from access to a universe of students and alumni through Barnes & Noble College’s growing social media and e-marketing network, and through experiential marketing – compelling in-store experiences that build a one-on-one connection with students. Policastro and her team have amassed 250 unique school attributes that correspond directly to their college stores. These attributes are designed to help brand partners target the most relevant student population and university culture for their specific brand. “Currently, our focus is on distinct categories – technology, automotive, health and beauty, and food and beverage – because we see tremendous opportunities in those kinds of product areas,” she says. 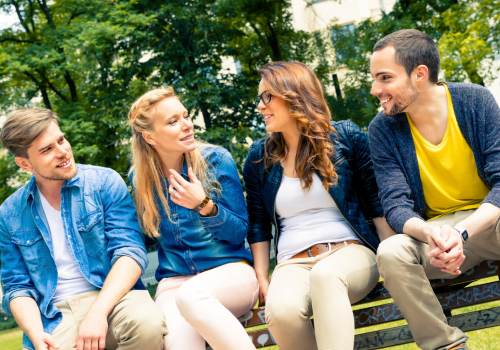 Ensuring that the brands and promotions are relevant and authentic to the student experience is a key component to the success of the partnerships. “We want to partner with companies who are marketing to students in a different and exclusive way,” says Policastro. “We’re looking for brands that want to establish a long-term partnership in a holistic, integrated way,” she adds. Working with their partners, the Barnes & Noble College Marketing team ensures that the ways students experience their programs is creative and compelling. American Express developed a pre-paid Campus Edition card, exclusively for Barnes & Noble College students, enabling them to pay bills or transfer money without fees. 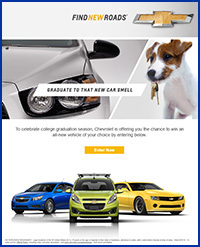 Chevrolet launched a Chevy test-drive program, to build brand awareness of their affordable vehicles with graduating seniors in a sweepstakes that generated over 75,000 entries. Another brand interested in the graduate market has been women’s fashion retail brand Ann Taylor who, this year, will debut a promotion for graduation with exclusive discounts to help seniors develop their professional look for the job marketplace. Other brands seem perfectly matched for the Millennial psyche, such as GoBank, who promoted their virtual banking app with free banking in time for last year’s fall semester. “Students really love those kinds of services,” says Merkin, who points to significant acquisition for GoBanks.